According to data compiled by the National Highway Traffic Safety Administration, the overall traffic deaths in the United States fell by 3% in 2013. Overall, 32,719 people died in traffic collisions in 2013 – down from 33,782 in 2012. In particular, deaths by drunk and distracted drivers fell. In the last 10 years there has been a 25% decline in traffic deaths in the US – which is a huge reduction and one that we should all be proud of. Since car manufacturers now equip baseline models with state-of-the-art safety features, our roadways have become safer. In particular, stability control in vehicles has reduced the number of rollover crashes tremendously, as have backup cameras. To help keep our roads safe, most states have passed anti-distraction laws, such as no texting and driving and no hand-held cellphone use. This hands-free law has helped curb distracted driving and police officers are actively cracking down on individuals who break these laws. In addition to safety laws, police and safety agencies have begun advertising campaigns against distracted driving and drunk driving. As a result, the number of distracted driving fatal crashes fell by 7%. Yet, 2013 had a few dark spots. In particular, the number of fatal trucking accidents and fatal bicycle accidents actually increased during this same time. Truck driver fatigue has been cited in many of those fatal accidents, and safety experts are concerned about the increase in the number of hours that truckers are legally allowed to drive. Unfortunately, a new government spending bill just passed through Congress that would actually suspend key safety components regarding when and how long truckers must rest. Trucking accidents are unfortunately catastrophic – even when they are not traveling at a high rate of speed. The sheer size of most large commercial vehicles means that anyone involved in an accident will likely sustain serious and life-threatening injuries. Traumatic brain injuries, amputation, spinal cord injuries, and disfigurement are a tragic result of most trucking accidents. Bicyclists who are hit by a motor vehicle usually sustain serious and often fatal injuries – even when they are wearing a helmet. Even though bicyclists have the same rights to the road as other vehicles, they are often in danger – especially during busy rush hour commutes. To help combat bicycle deaths, however, the NHTSA is focusing on funding bike lanes in large cities and helping to keep cyclists from being in direct traffic. Education and advertising campaigns are also slated for both. 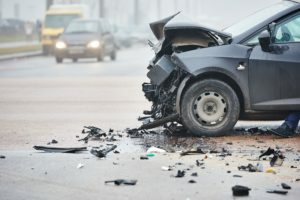 If you or someone you love is injured in a car accident in Colorado Springs, Denver, Longmont, Aurora, Boulder, or anywhere in the State of Colorado, we can help. Our Colorado Springs car accident lawyers know how to fight the large insurance companies –and win. We work aggressively for you, so that you can focus your energy on getting better. Contact the experienced Colorado Springs personal injury attorneys at the Green Law Firm today to schedule a no-obligation consultation and discuss your case. Call us today at 1-719-694-8515.